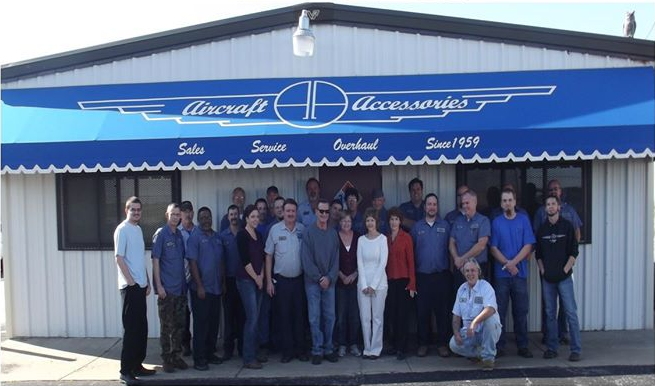 U.S. Tulsa, OK Gliders Manufacturers Aircraft Accessories of Oklahoma, Inc.
Aircraft Accessories of Oklahoma technicians can bench test or tear down your accessories, and tell you exactly what repairs are needed to get you flying again. Please print out the “Shipping and Receiving” form in our “Forms” section to be included with your parts, and write in detail any questions or comments regarding the parts. The form can also be emailed to airacc1@airacc.com. Upon receipt of said parts, Richard, David or one of our highly-trained technicians will gladly contact you with the proper diagnosis or quote a replacement price. After arrival of your parts in Aircraft Accessories’ facility, most parts have a 3-5 day turnaround time. Install a QR code reading app on your smartphone to scan and convert it to Aircraft Accessories of Oklahoma, Inc. contact information. There are no reviews on Aircraft Accessories of Oklahoma, Inc. yet. 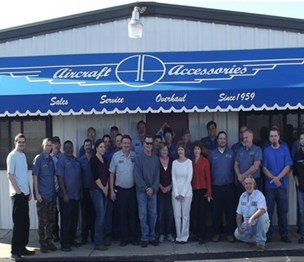 More details about Aircraft Accessories of Oklahoma, Inc. According to our records, this business is located at 2740 N. Sheridan Road in Tulsa (in Tulsa County), Oklahoma 74115, the location GPS coordinates are: 36.1950169 (latitude), -95.9046094 (longitude). Aircraft Accessories of Oklahoma, Inc. is categorized under Gliders Manufacturers (SIC code 3728). Known organization sales manager is David Dutton. Current estimates show that the unit has a sales volume of $6000000 and staff of approximately 30 people. You can contact the company by phone at (918) 835-9924; the following fax number is also provided: (918) 835-3681. Business website can be accessed at www.airacc.com. Open from 8:00 am until 5:00 pm (Monday - Friday).